‘M’ also stands for MUNICH; ‘M’ stands for MOTORSPORT; ‘M’ stands for MASTERS. And BMW’s engineers are surely masters of ‘M’. This car is uncannilly smooth from the get-go. The combination of well-sorted variable valve timing, turbocharger design and camshaft profiles makes this easily the smoothest performer in its class. I'll write more about this in an upcoming post. Sadly, the last BMW I officially tested was back in 2007, when I was invited to drive an M3 convertible. We drove from Port Macquarie to Walcha, for lunch, and then back down the switchback mountain roads to our starting point – a round trip of 366km driving the Oxley Highway, up and down the Great Dividing Range. It was a spectacular drive, over some of the most challenging roads in Australia, dodging timber jinkers and tourists. However, on the out leg, after climbing the range, the long, flat run into Walcha was a blast. I liked the M3 a lot. 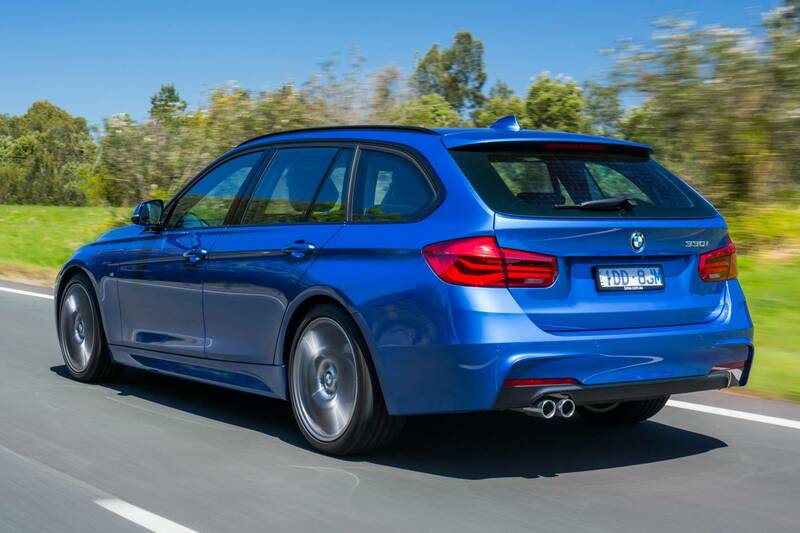 This 330i Series Touring wagon carries an ‘M’ badge, but it’s just for show. 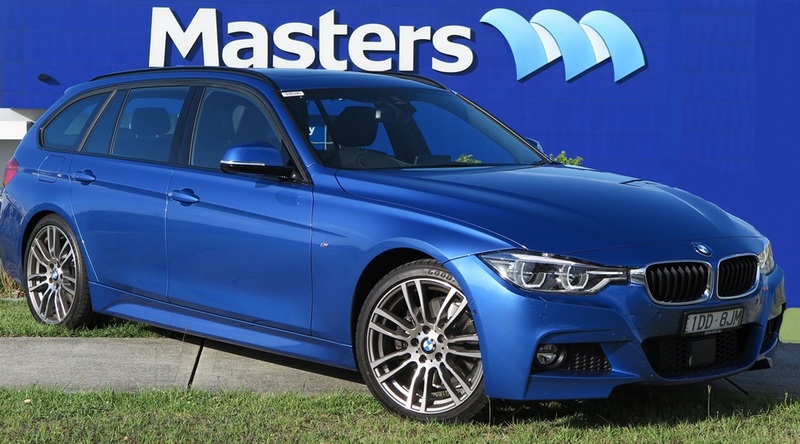 This is not a full-blown M3 spec, just a touring wagon with a few ‘M’ accoutrements – like SatNav, leather seats and various bits of bling to jazz up what starts out as a pretty impressive package. There’s another aspect to ‘M’ means More. The AUD$73,300 pricetag carries an additional AUD$3,564 for the bling and the ‘M’ badge, but in this funny old world of estimating ‘value’, I think it’s worth it. I LIKE this car. There's a good reason why you pay a premium price for a premium car. The reason is the thousands of engineering man-hours to sort and refine the product. BMW's engineers are masters of the art of refinement. I’m not sure I would want a faster, more expensive package. This one’ll do nicely thanks. On the road it’s smooth, handles precisely and the small, twin-scroll turbo pushes out 185 useful kilowatts. I wasn’t carrying a stopwatch, but when you floor the throttle the 330i Series Touring lifts its skirts and skedaddles, pronto! A GREAT exhaust note too! The calibration of the ZF 8-speed auto is pure engineering magic. Every ratio, every shift is just RIGHT! The latest trend for turbocharging four cylinder engines is also pumping out very impressive torque figures. In this case you get 350Nm across a very wide band. This Bee Emm is an easy car to like, power and torque when you need it and plenty of creature comforts. The front seats hold you firmly, and the steering wheel is one of the best I’ve sampled lately. The techy bits like iDrive, phone pairing and music streaming all work intuitively - which is more than I can say for BMW's pacesetting first attempts with iDrive. What a mess that was! The rear seat legroom is impressive, given the 2.8m wheelbase. It’s not fine for ‘Lurch’ to stretch out, but adequate for us mere mortals. The wagon’s flexibility with its multiple combination of folding rear seatbacks is very impressive, and load space is 1500 litres with the seats dropped. I have to pay a compliment to the electro-mechanical steering. It's very precise, and gives terrific feedback. All up, I am amazed that BMW can continue to refine its basic concepts so successfully, year after year. I loved the 2007 M3, but this 330i is yet another dimension in refinement and driving pleasure.